Many Kewdale residents and businesses rely on their cars daily, whether it’s to go to work or get from one location to another, which is what makes breakdowns so frustrating. Unfortunately, all vehicles, regardless of the make and model or how well they’re maintained, are destined to experience problems at some point or another, and when you can’t fix your car by the side of the road, you need professional assistance from Executive Towing Services. We have a long-standing team of highly trained and competent operators who use the latest equipment to tow your car safely and efficiently, meaning when you need a tow truck in Kewdale, we’re the company to call. Most road accidents, fortunately, only result in minor bumps and scrapes, but it’s not rare for vehicles to sustain damages that render them unroadworthy. The last thing you need is to be stranded for hours until help arrives, which is why our professionals will head to your location in Kewdale the second we receive your call. We can provide roadside assistance, meaning you don’t have to let dead batteries and burst tyres prevent you from getting to where you need to go. However, if your vehicle requires towing, you can count on us to use the latest tow trucks that we maintain to the highest standards. 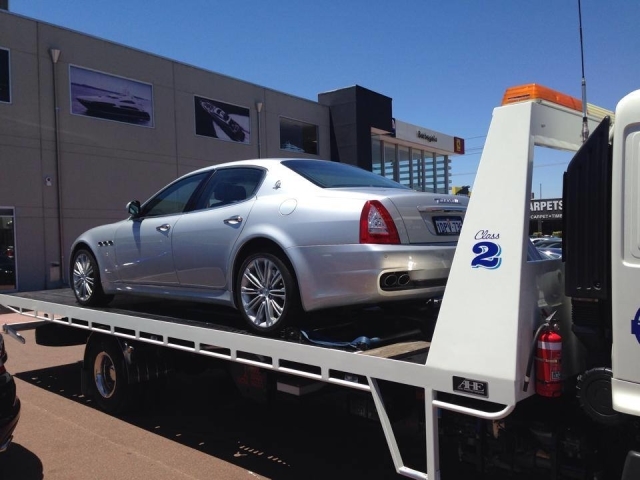 There’s no need to let breakdowns cause more disruption to your busy schedule than necessary if you call the experts at Executive Towing Services for towing in Kewdale. At Executive Towing Services, we’re not just here to provide emergency assistance to drivers following an accident; we can tow almost any vehicle, from forklifts to heavy machinery, for any purpose. If you need to transport a small truck or shipping container, we can send a tilt tray tow truck to Kewdale that’s perfect for taking care of your vehicle. Alternatively, if you need to get a bobcat or EWP from one side of town to the other, our professionals will be at your service in no time at all. Whatever you need towing in Kewdale and the surrounding areas, we have a suitable truck for the job. Thanks to having over a decade of experience, a passionate team of qualified professionals, and a fleet of tow trucks fit for any purpose, we’re able to offer a level of service that simply can’t be beaten in Kewdale. Thousands of motorists and businesses have already trusted us with the safety of their vehicles, and if you decide to join them, we guarantee you won’t be disappointed with the results. We’re fully insured, we comply with the strictest standards, and we endeavour to be the most cost and time-effective company in our industry. Contact us today on 0410 471 056 to learn more about our highly regarded tow truck service in Kewdale, and one of our friendly professionals will be delighted to take your call.